I have B&W 702 S2 speakers. These speakers are larger than bookshelf size and are meant to be floorstanding. For optimal sound, I need to raise in height by 20-24". I am considering mounting each 702 on a pair of these stands (so 4 stands in total). The 702's are 7.9"w x 13.3"d and weigh 65 lb apiece. Thoughts and comments appreciated ... do you think this will work? BEST ANSWER: I am not confident in your idea. The 702 S2 manual clear says these should only be floor standing. Regarding YOUR application, I will assume that you would configure the stands side by side, (creating a width of 8.5 inches, as well as an "overall" depth of 16 inches), if the stand bases are flush with each other. 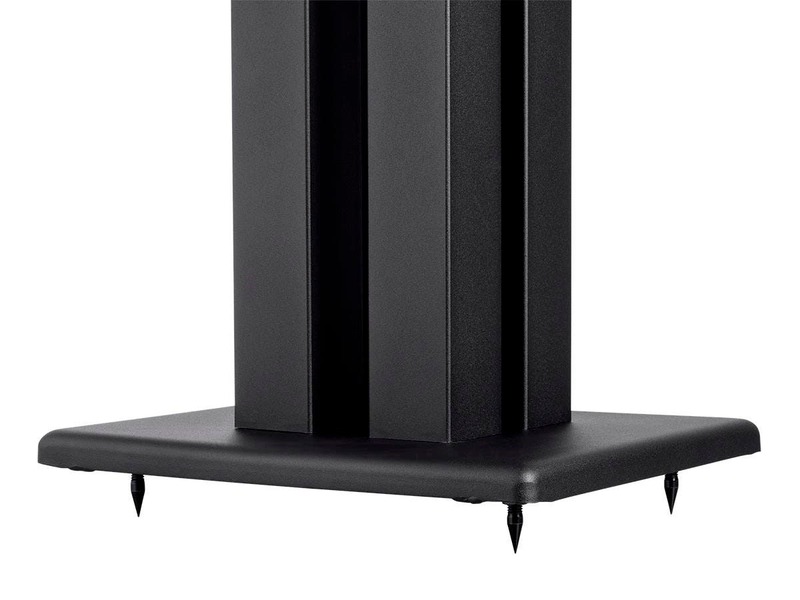 My concern of course is the (at a minimum) 4 inch gap between the stand tops, (not that speaker stand plates would not accommodate the speaker base feet/spikes(? )), but the potential for for/aft wobbling or osculations when playing low and loud( +/-3dB @ 45 Hz.). IF the speaker stands are mounted on a hard/solid floor, they MIGHT be reasonably stable, (noting that each speaker weighs approx. 65Lbs. ), HOWEVER, on carpet, (even if the speaker stands are on spikes), I would be somewhat cautious, if not leery). I would venture a guess that if you could SOLIDLY "strap" both the speaker stand bases, as well as in particular strapping the speaker stand top plates together, (RIGIDLY), the Monoliths might just be a great, economical choice., maintaining that both the bottom and top plates of the speaker stands remained parallel to each other, respectively. You ARE aware of the low freq. changes effected by elevating the 702's ? So you’re going to lay them on their sides? These will definitely work. I have some rather large bookshelf speakers, the dimensions of which are actually deeper and wider than the B&Ws, and they sit very nicely. I just used a little blutak to secure them and they’re solid as can be. I’d definitely fill the stands (sand, shot, kitty litter, whatever) and you’ll be very pleased. I’d mount the B&Ws with the tweeters toward the inside. Bass may suffer slightly since those are floor speakers and the ports, I believe, are at the bottom rear of the speaker, but overall I think these are as good as you’ll find without spending $500+. I couldn’t be happier with mine. 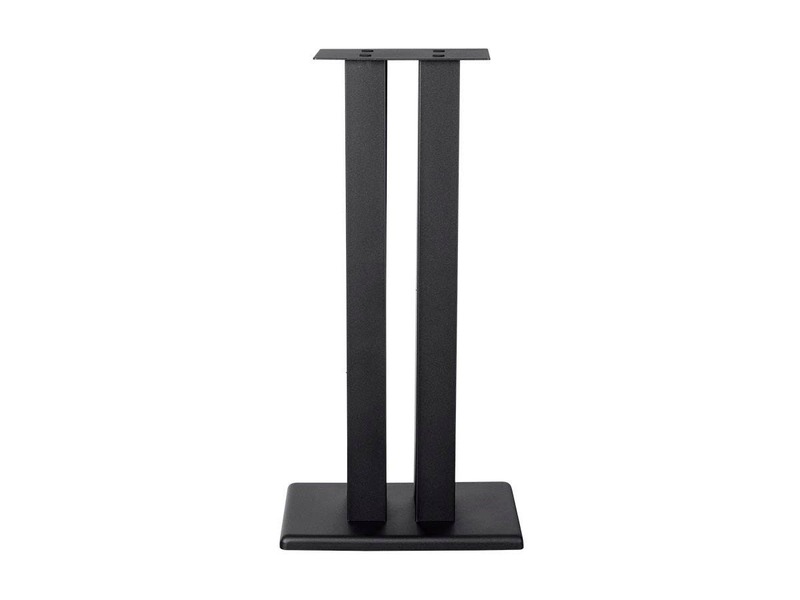 These are very sturdy speaker stands. By doubling them up there would be no problem holding 65 pounds. By pushing two stands together I'm not sure what the top mounting plate dimensions would be. The top plate can be mounted in two positions, slightly changing the mounting width. I don't see why these wouldn't work for what you want to do. The assembled stand sits right at 24". Make sure you have help lifting those heavy 702's into position! I also purchased these to use with a pair of 702s. 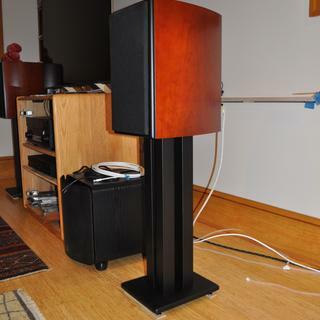 These are nice speaker stands, but too small to support the 702s. I ended up using a pair of end tables. I don't believe that you could use 2 speaker stands per speaker as the base of the speaker stand is larger than the top platform. Do floor spikes come with rubber tips for hardwood floors? BEST ANSWER: No, I added small adhesive felt pads to the flat parts of the base and the edges. No, there are just spikes included. It says they are MDF? BEST ANSWER: The stands are all steel, no MDF. We will update the specs. Thank you. That is incorrect, it is all metal construction from the top to the spikes. 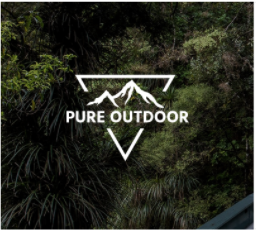 I'll second the above-- the stands are all steel- no MDF. They are not MDF at all, 100% metal. The stands are all steel. Is the bolt pattern on the mounting plate standard for bookshelf speakers, or is it specific to Monolith speakers? BEST ANSWER: There is no bolt pattern to mount the speakers, they sit on top and avoid sliding the little foam stickers that are included. They are very good stands, much better than the MDF stuff that costs more. The holes on the top plate are for attaching to the support columns. There are no holes to connect to speakers. These are great speaker stands. Very stable and weighty. There was no bolt pattern, just the flat plate. The "holes" that you see are from bolts holding the stand together. I do like these very much. It doesn't appear so but is there wire management built into the stand? Thank you. BEST ANSWER: No, does not appear to have extra holes for wires to be threaded thru. No, no wire management system. Do you find the 24" height to be a little low to put the bookshelf tweeter at ear level? Seems most sofas and chairs will have you sitting higher than that. BEST ANSWER: For a lot of speakers this height will be fine. Ideal front speaker height = ear height while seated. 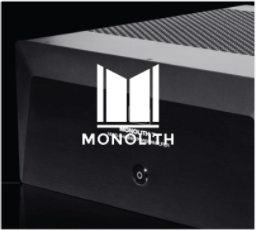 An 11" tall speaker like the Monolith Air Motion 5, would put the top of the speaker at 35". 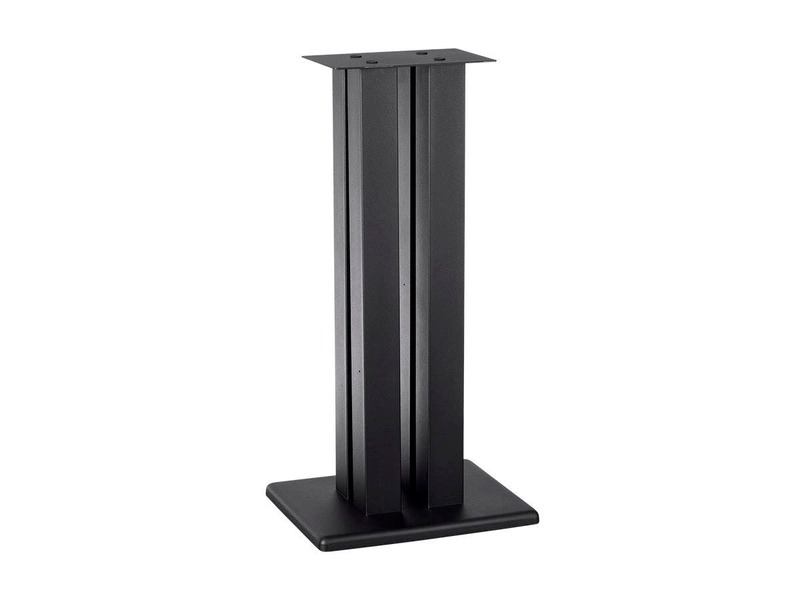 Most tower speakers range from 35" - 43"
Do you have a 36" version of these stands? BEST ANSWER: We currently do not, but thank you for the suggestion. We will take it into consideration for future products. Can the columns be filled with sand? BEST ANSWER: Yes, the columns can be filled with sand or other mass loading material. I understand that the speaker stand support columns can be filled with sand for dampening purposes. Understanding THAT, once in place, how well do the columns interface with the bottom, (and top), plates? Does one need to place some sort of a seal/gasket material between the column ends and the bottom and top plates to prevent sand leakage? Also, are there any unforeseen challenges to filling the columns with sand. ..i.e., how large is aperture at the top of the columns into which the sand, (or other dampening material), must be poured? BEST ANSWER: They have a pretty tight seal at the bottom. To be overly safe, you could devise a seal or gasket, but I'm not sure it is necessary. The opening to pour in the sand is not large, so I would use a funnel of some sort. One thing to remember is these are made of steel, and are already relatively inert out of the box. The quality of your speaker will determine how good your sound is far more than filling these with sand. How many pounds of sand do I need to fill each stand? BEST ANSWER: I bought a 50 pound bag of small river rock (pebbles) from a big box store for $3. Used about 45 pounds of the rocks. Personally, I think the rocks are a better choice than sand. Anyone have Polk LSiM 703s on these? 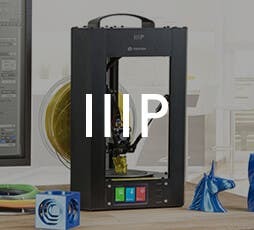 If so, how do they fit regarding the base dimensions? BEST ANSWER: The Polk's footprint is quite a bit larger than our plate. May cause some instability. Can the spikes be removed and replaced? If so what is the thread type of the spikes? 1/4" - 20? What size are the top plate what size are the top plate screws? anyone know if these will fit the polk S20 signature bookshelf speakers? I am pretty certain these are identical to the ones I bought from Audio Advisor sold under their house Pangea brand. I am happy with the 24" speaker stands. The stands are well made, especially for the price. Assembly was easy. I attached the columns to the base with the screws a little loose. Then attached the top plate. I then tightened the base screws. Next I placed adhesive felt on the flat surfaces and the edges of the base. While the stands are sturdy and stable as is, I chose to fill the columns with small stones to add ballast and significantly increase stability. I bought a 50 Lb. bag of small river rock from the big box store for $3. I screwed the top plate back on and then fitted a piece of shelf/drawer grip on the top plate with a few pieces of double sided tape to help protect the speakers and reduce sliding if nudged. I placed Klipsch M-60 speakers on the stands. The speaker are about 1/3 or a little more bigger than the top plate. I got the 24" because the 28" was out of stock. The 24" was probably the better choice anyway for my room and speakers. Excellent stands, especially for the price. Shipped and delivered quickly with prompt email updates. Quick and easy assembly and they look good. Solid build and heavy. Can add shot or sand to them, but not sure it’s needed. Very satisfied! 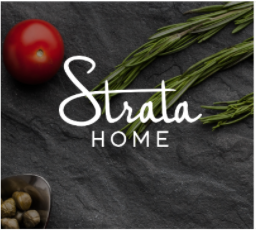 Well-made, attractive, sturdy, and they do the job! One set was missing it's parts bag but Monoprice immediately sent a replacement. Excellent value, thanks again! I gave the stands five stars because they are an excellent value. There are fancier stands out there. BUT... those stands cost a lot more; in some cases several times more. 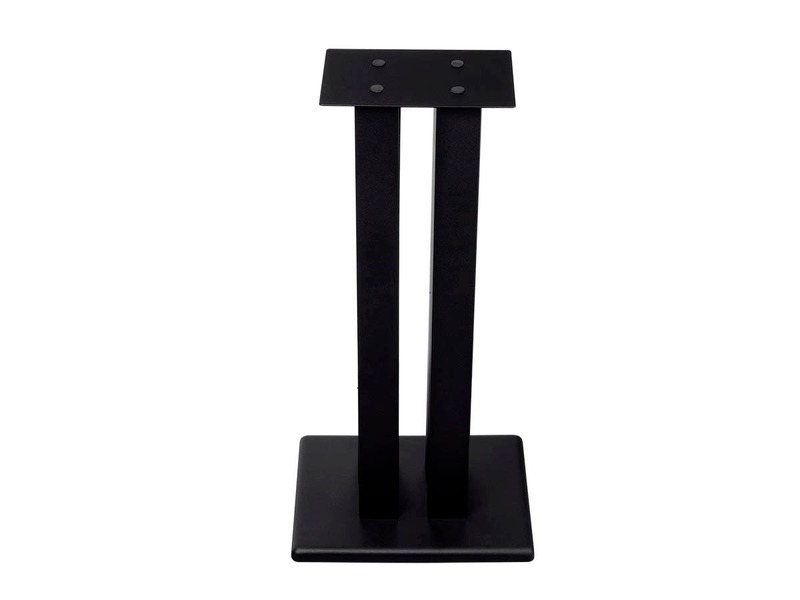 I bought the Monolith stands to support a pair of monitor speakers that weigh 50 pounds each, so the sturdiness of the stand of primary importance. I am happy to report that they are at least equal to the task. BTW, I'll second an observation made by someone regarding adding ballast (such as industrial sand or steel shot) to the stand columns to damp resonances. The stands are solid enough as it is; I don't think they need added ballast. My only quibble (and it's minor) is that they are a little bit finicky to assemble. A little patience is required to ensure that the columns are parallel and the top plate is aligned with base plate. Finally, the stands were securely packaged and arrived with no dings or scratches. To sum up, I'm very satisfied with the stands and heartily recommend them. I bought these for my Bowers Wilkins CM5 speakers. The stands are substantial, great quality, and work well (and of course the price beats everything I looked at). Monoprice comes through again! Bought these for my new Elac Debut 2.0 B6.2 bookshelf speakers. These stands are a perfect fit for them. The Elac's weigh 16lb. 's a piece but have no effect on the stability of these stands. These are heavy enough that I didn't bother adding sand or kitty litter. All I had to do to mount the new speakers was to add a dab of Blue Tack to the (4) screw hole locations on the top mounting plate, and I was done!!! I ordered another pair of these stands for my surround speakers, which I should receive tomorrow. These are the sturdiest and best stands I have owned over the years. No wobbling or scary moments with these babies.